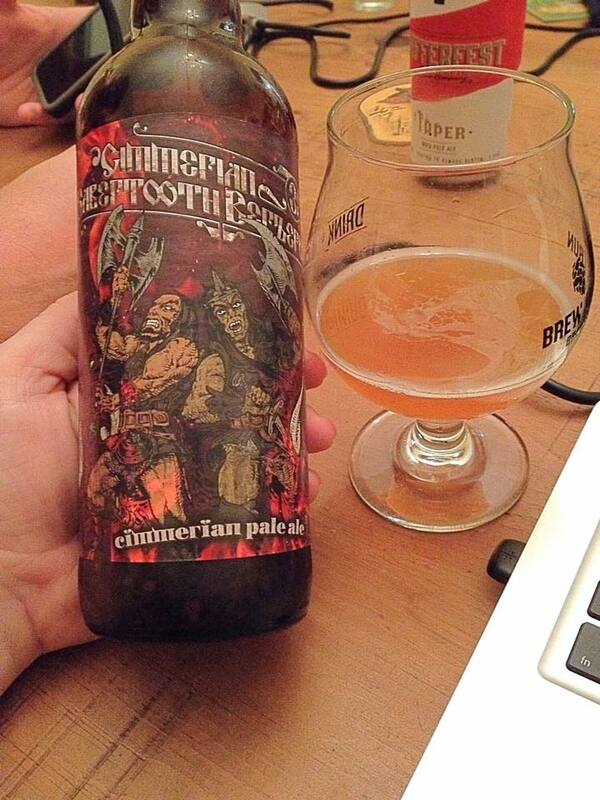 Three Floyds Cimmerian Sabertooth Berzerker is an American Double/Imperial IPA, 9% ABV. Thanks to Lee for sharing this bottle with the gang! 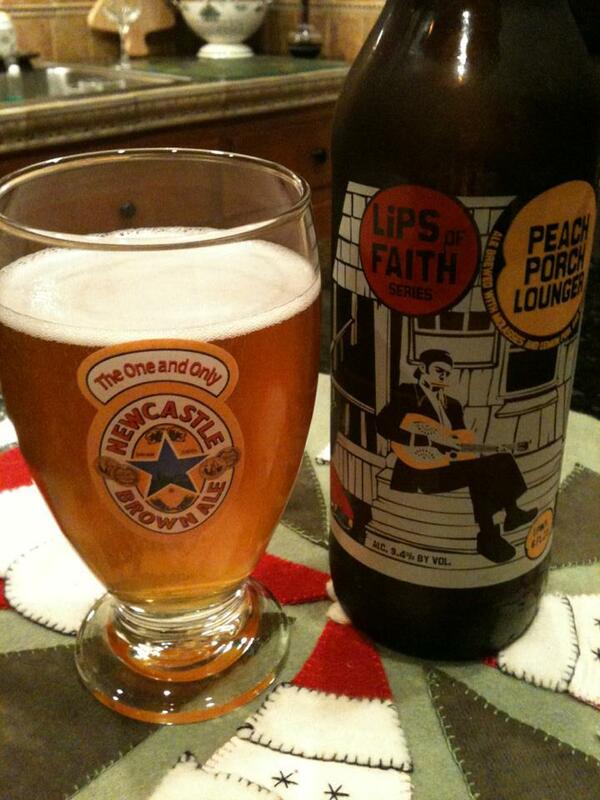 This beer pours with a super cloudy peach/orange color. The 22 oz bottle was shared between four of us, so not much head was achieved on any of the pours. 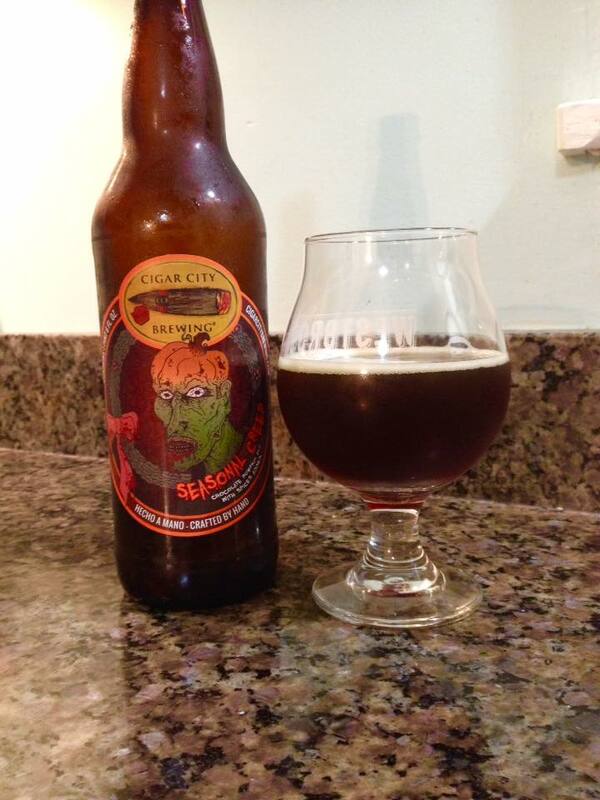 I’m getting a good bit of sweet tropical fruit on the nose, and then some pine dankness buried in the aroma. It is like kind of like getting a faint whiff of fresh marijuana that you are smelling from across the room. 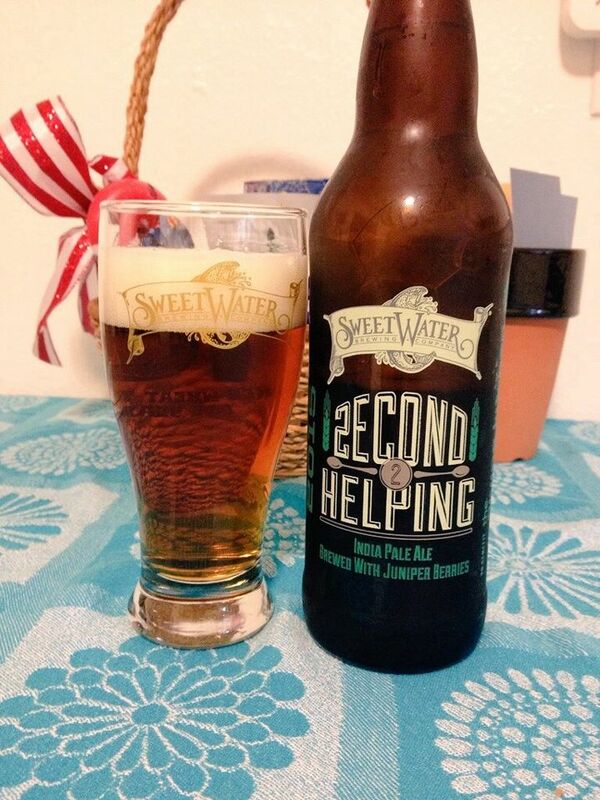 This beer takes you on a wonderful DIPA ride. Things start sweet with some big tropical fruitiness before you slip into a good bit of hop bitterness that leaves the mouth tingling slightly. The finish is about as perfect as they come on a big beer like this. It is light and fruity after the bitterness with a flavor that reminds me of candied pineapple. I am finding it very hard to believe that this beer is 9% ABV. 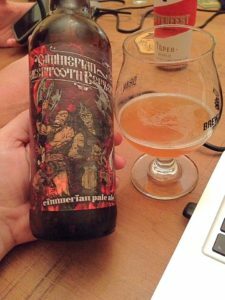 I can’t say that I’m surprised, but this is yet another excellent beer from Three Floyds. Thanks again to Lee for sharing this!